Using YITH WooCommerce Badge Management you can create custom badges you can apply to products in your shop. There are three types of badges: text, CSS or images. 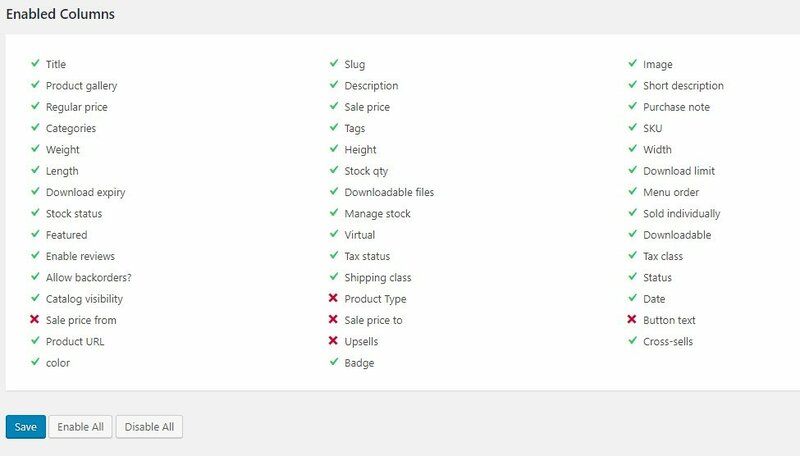 The integration between these two plugins allows you to assign or remove a badge from several items, from the YITH WooCommerce Bulk Product Editing configuration panel. After installing and activating both plugins, Badge will be included in the Enabled Columns allowing you to add or remove your badges with a bulk action. For further details about YITH WooCommerce Badge Management settings, please refer to the official documentation. Thanks to YITH WooCommerce Brands Add-on, you can create brands you can link to the products in your shop. Products can be filtered based on the selected brand and this will make it easier for users to find products they might be interested in. The integration between these two plugins allows you to assign the same brand to multiple products at the same time. 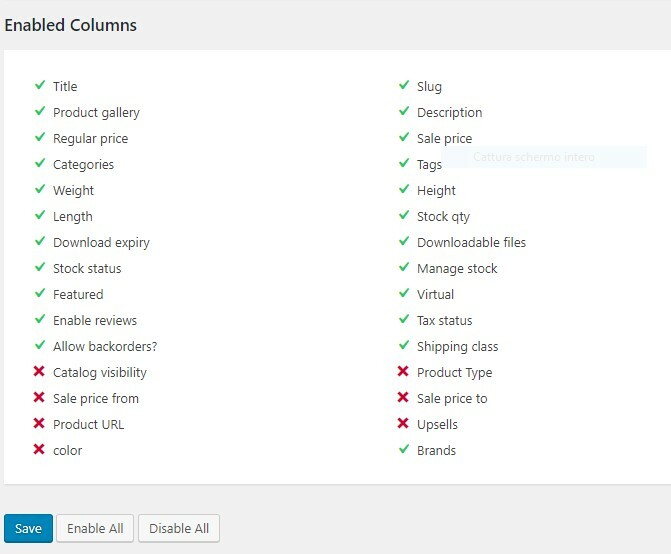 After installing and activating both plugins, Brands will be included in the Enabled Columns allowing you to assign your brands with a bulk action. For further details about YITH WooCommerce Brands Add-on settings, please refer to the official documentation. YITH WooCommerce Deposits and Down Payments is a plugin designed to offer users the opportunity to leave a deposit for a specific order, which they will then finish paying at a later time. After installing and activating both plugins, Enable deposits, Force deposits, and Create balance orders will be included in the Enabled Columns allowing you to edit the above-mentioned fields through a bulk action. 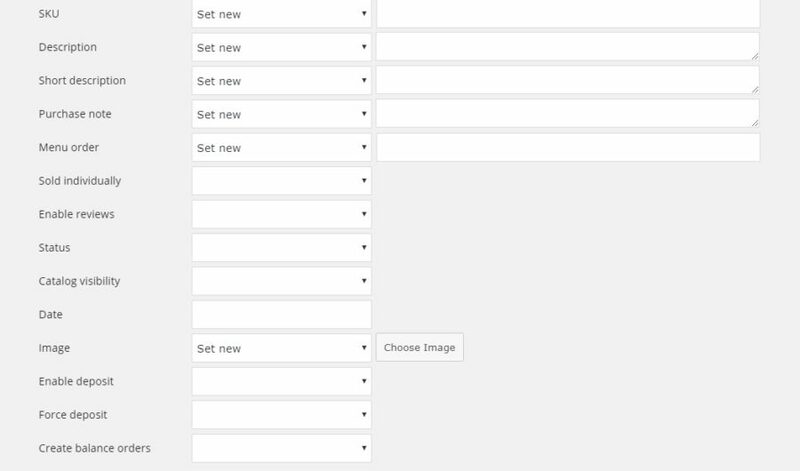 After getting the products and clicking on the Bulk editing button, you will be able to configure the fields to enable and force the deposit and create balance orders. For further details about YITH WooCommerce Deposits and Down Payments, please refer to the official documentation.